A tiny little spot tucked away behind the corner of 34th street and North Miami avenue would be hard to find if not for the colorful creature painted on the wall. A tiny space, maybe, but huge as far as quality and service! What else matters? This place was recommended by a friend who has a good eye for restaurants. So, following her advice, one sunday afternoon I dragged my husband, daughter and two dogs out of the house to sample Proof for a late lunch. As soon as we walked into the lovely patio, we were greeted and so were our dogs. As we sat down at a table, both Fiji and Sarah were served a huge bowl of fresh water without even asking. Thoughtful to say the least. 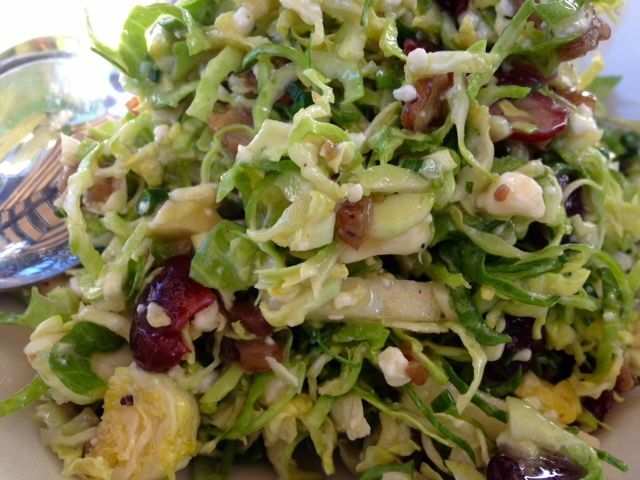 Although the menu was small, which can sometimes be a good thing, it had some tempting items like the shaved Brussels sprout salad with apple cider, Gorgonzola, pecans and dried cranberries for $11. Deliciously crunchy, sweet, savory and mildly tangy with just the right amount of Gorgonzola that gives it a kick without overpowering the dish, something that often happens in the US. No need for that. In this case, less is more! 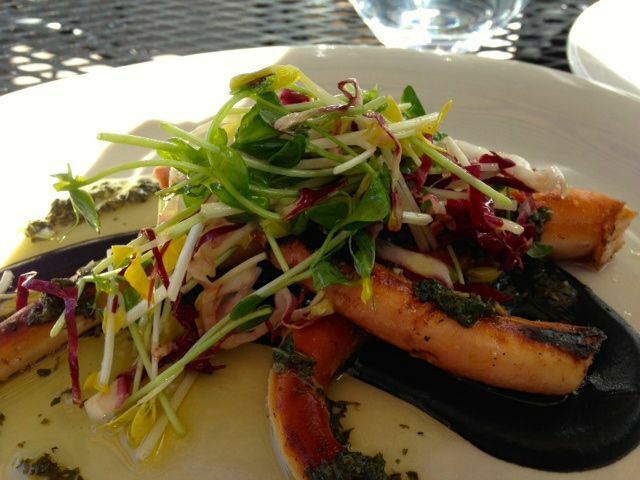 The grilled octopus was another winner, tender and generously served with celery root and a squid ink sauce that was perfectly seasoned for $15. And although I am not a big fan of pizza, when it’s done right I cannot resist a bite. 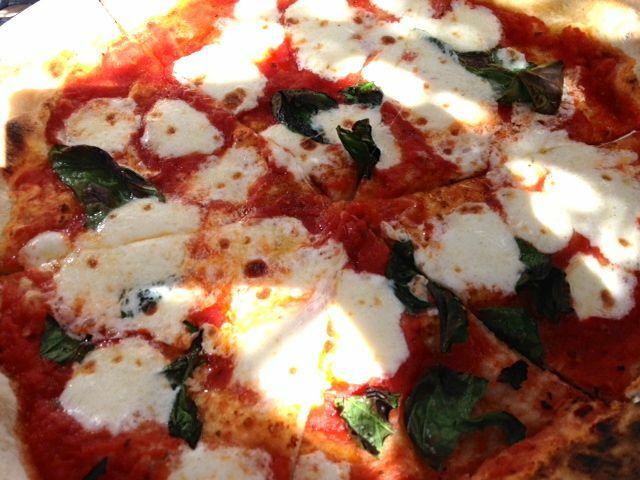 My daughter’s Margherita for $12 was baked in a 900 degree wood burning oven. I could see on her face that she had no intention of sharing it with anyone, but I was hoping to get a taste of the edges she usually leaves on her plate. This time, this was not going to happen so I begged for a piece until she begrudgingly obliged. Both homemade sauce and mozzarella were divine, and the dough was uniquely soft and airy. It’s no wonder she ate it all. I can’t wait to come back to try their oxtail pizza, their chestnut agnolotti or their snickerdoodle cookie dough macaron sandwich made with toasted cinnamon ice-cream. How more creative can you get? 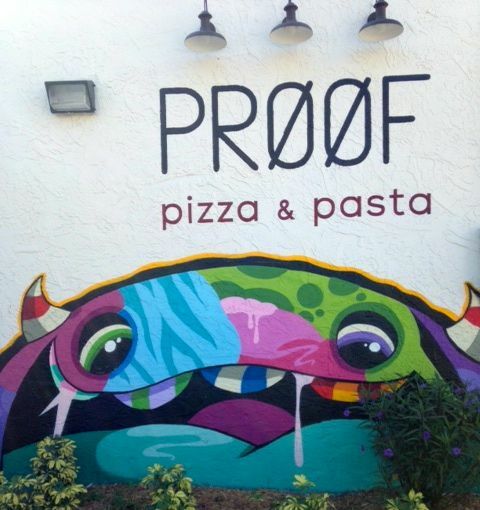 This place is certainly Proof that good food and great service are still standing in Miami.